One of those rare artists whose paintings are able to shake the viewer to his or hers emotional core in mere seconds, Nathalie Deshairs is a French author whose abstract compositions are a true delight to behold. 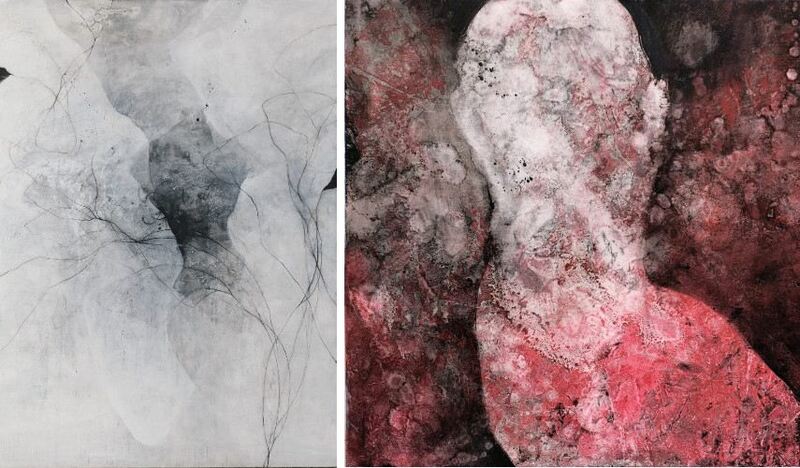 All of her pieces are capable of seducing the viewer thanks to their fine ink strokes and the fluidity of compositions that make them seem almost magical. It should be noted that Deshairs, despite using some degrees of recognizable forms, still relies heavily on the abstract shapes that are mostly unidentifiable to the viewer. Nathalie Deshairs was born in the year of 1964 in Grenoble, a city in the historical Rhône-Alpes region. She earned her artistic education by attending classes at the prestigious Beaux-Arts School of Aix-en-Provence. Here, Nathalie acquired the recognizable control over her art that serves her so well to this day. As a matter of fact, it may very well be this fascinating command over her compositions that separates Deshairs from most of her contemporary colleagues – this author never seems to lose control despite her artworks often appearing quite chaotic in nature. 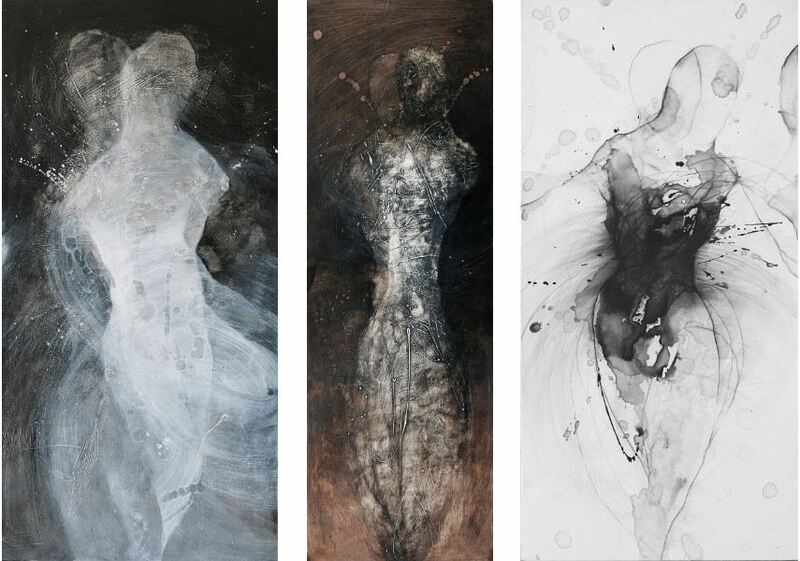 Her pieces are created by using black stone and Chinese ink – the perfect and unique combination of materials responsible for giving life to what Nathalie calls weightlessness of the soul. Even if it sometimes seems like this is not the case, color is actually a crucial element of her art as the controlled touches of colors dictate the emotional direction Deshairs’s paintings take. To her, color is never opaque and is more like a thought. It should be noted that Nathalie Deshairs used to teach students at the Plastic Art School of Menton, enjoying great success as a teacher. However, after she realized that focusing exclusively on her art could benefit her career, the painter decided to quit her job at Plastic Art School of Menton and dedicate one hundred percent of her time to creating artworks. Rarely do we get an opportunity to enjoy abstract art that packs such a strong emotional punch as the work of Nathalie Deshairs is capable of. And, just like the case is with other great abstract painters, we are not entirely sure why these pieces are as fiery as they are. After some time of observing and investigating her art, we believe it comes down to the mix of minimalistic shapes and the energy of the painter’s fluid forms. That way, Nathalie is able to achieve her aforementioned goal – realizing the quest for discovering lightness, the weightlessness of a soul unburdened by earthly matters. This artist is represented by Galerie 22. 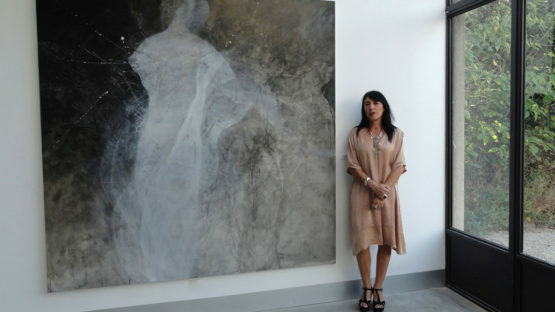 Nathalie Deshairs lives and works in Menton.